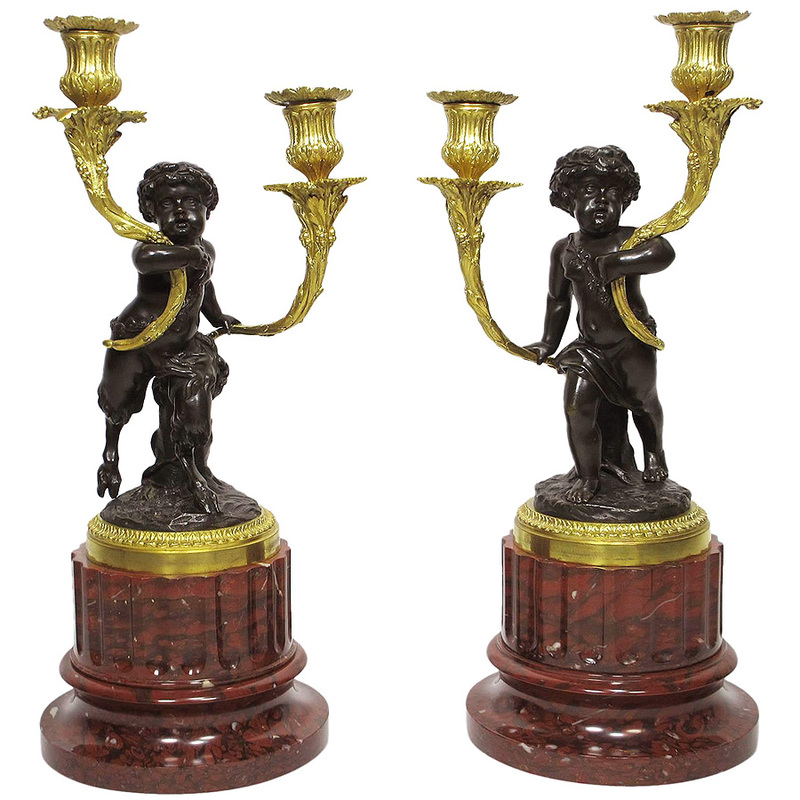 A Very Fine Pair of French 19th Century Louis XVI Style Patinated and Gilt-Bronze Figural Two-Light Candelabra after a model by Claude-Michel Clodion (French, 1738-1814), one modelled as a child faun, the other as a putto, each holding a gilt-bronze two-light candleholders, both raised on a Griotte d' Italie marble plinth. 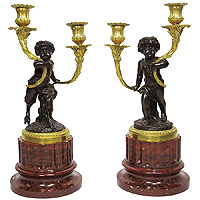 (Unsigned and unmarked). Circa: Paris, 1880.